by William Minter. Basic Books, 1986. Low prices on classic "printed book" format! 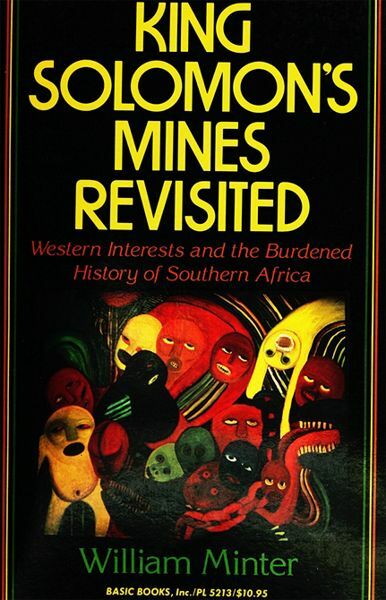 King Solomon's Mines Revisited is available here in html and pdf. You can buy the convenient and portable traditional "book" format at discount at Amazon.com, Amazon UK, and Powell's Books. It is also available on-line on questia.com, aluka.org, in Amazon.com's search-within-the-book program, and will soon be available on Google books.